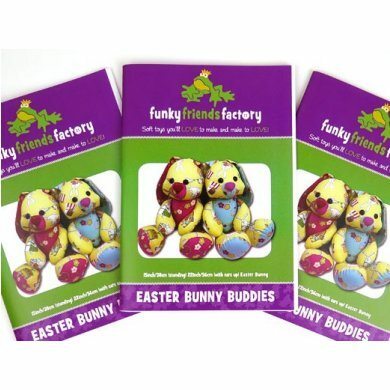 These Easter Bunny Buddies have been made with woven, cotton fabrics (eg. patchwork and quilting cottons and corduroy). You can also use knit/stretchy fabrics (eg. fleece, stretch velour, chenille and flannelette.) !